This is Sigma Chi’s highest honor for commitment, dedication and service to the Fraternity. From the 200+ chapters, only 500 brothers have been duly chosen. 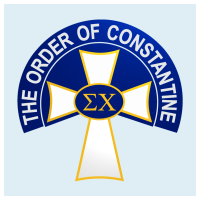 Eight Beta Sigmas belong to the Order of Constantine. D. Breckenridge Grover, ‘69: a City of Denver staffer; Beta Sigma's only living Order of Constantine honoree. Serves on Sigma Chi's Board of Grand Trustees (thru 2013) for East Tenn. & Rocky Mtn. Provinces. Clark M. Roberts, ‘55: As an alumnus, Clark served as a Chapter Advisor, Grand Praetor (1971 - 1980s), and on the House Corp. board for many years. Earl B. McClanahan Jr., ‘44: Served as Grand Praetor for the Tenn. Province; assisting with the Installations of the chapters at ETSU (1969), MTSU and Tenn. Tech (both in 1970). Edward C. Stothart Jr., ‘35: As an undergrad, Ed brought the Sigma Chi Derby Week to life. He’d gotten the idea from U.S.C. Channing Way Derby Day. He became Grand Praetor for the Tenn. Province in 1957. (Inducted in 1965). Roland H. Myers, ‘35: He was active in the founding of the Sigma Chi chapter at Memphis State in 1954.